You can access Spotify's over 30 million songs for free by simply sign up with your email address or by connecting with Facebook. Spotify free is available on Mac, Windows, iPhone, iPad, iPod Touch, Android phone and tablet. There are some differences between Spotify Free and Premium($9.99 per month, $4.99 for Students and $14.99 for family). Spotify Free is ad supported, shuffle only on mobile and no offline listening, while Spotify Premium don't have these limitations. Related: How to get Spotify premium for free? Can I download music from Spotify? 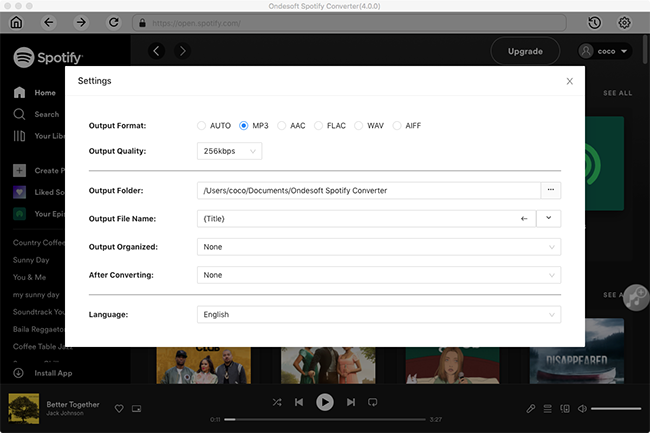 With Spotify Premium you can set music to be available "offline" but it's not the same as downloading music in the traditional sense. The music doesn’t download to your device so you can't keep it forever, burn to CD or copy to other devices. It simply downloads it temporarily within your Spotify account. With Spotify Premium you can have up to 3,333 songs available to listen to offline on up to three different devices. How to download Spotify music? On any playlist or album you’re looking at in the Spotify app, turn the Download toggle above the list of tracks on. Spotify will take a few seconds to several minutes to download your music (depending on how much you're downloading). When it's finished downloading, the Downloaded symbol appears to the right of the playlist name. 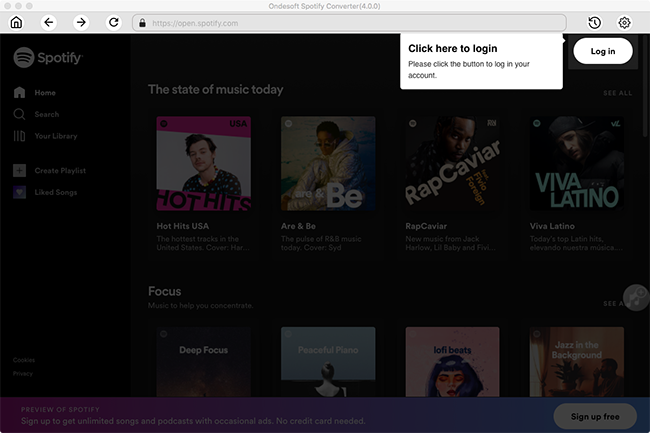 Note: Premium subscribers must go online with Spotify at least once every 30 days, otherwise any tracks you have downloaded for offline listening are automatically removed from your device. How to download Spotify music for free without Premium? Please make sure you have installed Spotify app on your computer. 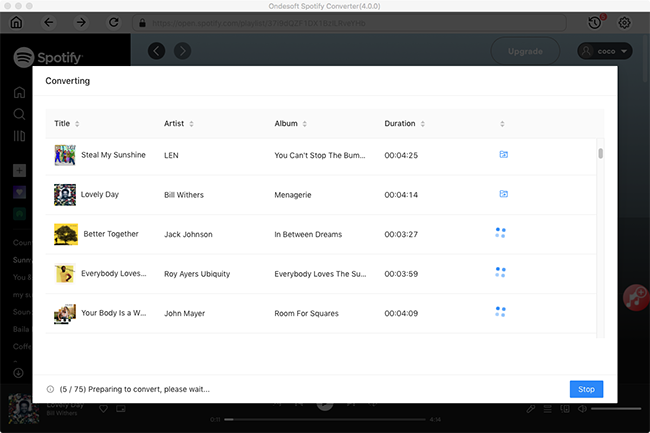 Download, install and run Ondesoft Spotify Music Downloader on your Mac or Windows, then Spotify will be opened automatically. When finish customization, click the Convert button to start the downloading. After the conversion done, you can find the converted audios by clicking the History button. 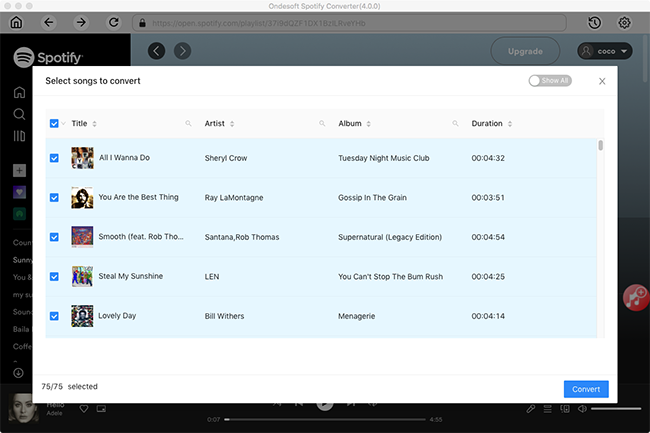 All converted Spotify music is DRM-free. 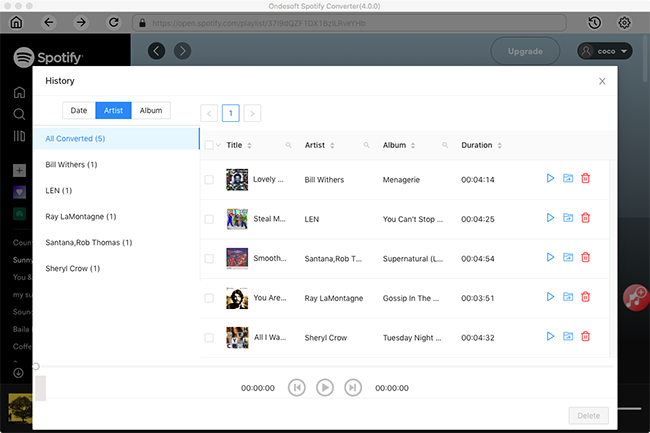 You can keep the Spotify songs forever, burn to CD or copy to other devices.